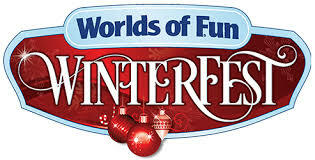 Worlds of Fun has plenty of outdoor entertainment during Winterfest. The most popular is the nightly Tree Lighting Ceremony. This festive celebration takes places in International Plaza. Using the same stage as the Lighting Ceremony is Cool Yule. Beware, there are some crowd participation interactions. It is a very good show that will make it impossible to not dance along. Oh and did we mention that the tree participates in the show too? At Country Junction, the band Old Sound celebrates the holidays in their show called Bluegrass Christmas. At the Tinsel Town Stage, Jingle Jazz performs A Capella Christmas favorites. In Africa, the Sounds of the Nativity celebrate the reason for the season. Finally near the entrance to Planet Snoopy, the Holly Jolly Trolley makes show stops to perform holiday classics. Check out all 5 parts of our 2018 Winterfest Coverage.